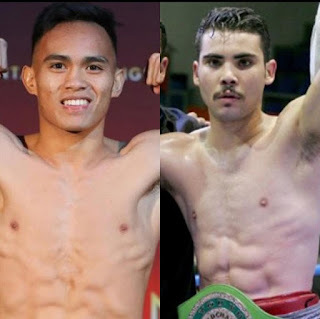 Press Release: September 18, 2018 by Sanman Promotions – Filipino knockout artist Romero “Ruthless” Duno (W17 KO14 L1 D0) returns to the ring as he faces Ezequiel Aviles (W16 KO6 L2 D3) for the WBC Youth Lightweight Championship on September 29 at the Fantasy Springs Resort in Indio California. 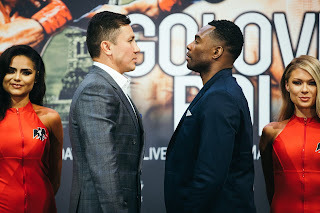 The fight is promoted by Golden Boy Promotions. Duno has been training under former world champion Rodel Mayor in LA. He made a big name in the US after knocking out then undefeated Christian Gonzales in a major upset. “I want to thank Golden Boy and Sanman Boxing for another great opportunity. I trained so hard for this fight. I am focused on winning and winning in order to get to the bigger fights. After winning this, I want to face either Linares or Ryan Garcia or any other big name in my division. I want to show the world that I’m ready to be a world champion”, Duno stated. “Duno has been in LA for almost 2 months and has been working hard with coach Rodel. He sparred with quality boxers. He is 100% ready for the fight.” Sanman CFO Dexter Tan said.